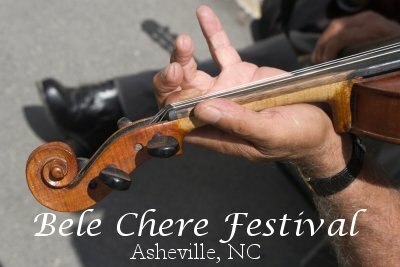 The Bele Chere Festival, a short drive from Brevard in nearby Asheville, is the largest free festival in the southeastern U.S. and features an eclectic collection of performers, artists, and activities. The three day festival runs from July 29th-July 31st and features more than 40 local , regional, and national musical performers on 4 stages. In addition to the scheduled performances, you will also find many street performers to enjoy. A multitude of arts and crafts vendors from all over the country feature their works in metalwork, fabric, paint, ceramics, woodwork and more. Stop by Arts Park and visit with the best artists of Bele Chere, exhibiting jewelry, photography, pottery, woodworking, painting and metalwork. The festival also supplies an abundance of activities, including a 5K marathon, zumba, and dance lessons throughout all three days of the festival. No matter what you’re seeking the Bele Chere festival is sure to please, what a great way to spend a summer weekend! Located in beautiful Western North Carolina, Transylvania County is known as the “Land of Waterfalls” for good reason – there are 250 waterfalls located here amidst the Blue Ridge Mountains! 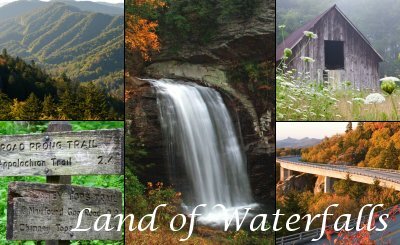 These are the Top Ten Waterfalls 2011 that should not be missed, as chosen by the readers of RomanticAsheville.com, an on line travel guide. Dry Falls – you can actually walk behind this impressive 75-foot waterfall in the Nantahala National Forest, and stay dry! 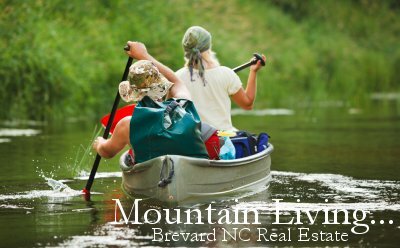 In Brevard, NC, along with miles of amazing hiking and biking trails, you’ll find many rivers, streams, lakes, and waterways ideal for canoeing, kayaking, or even whitewater rafting. Transylvania county is the headwaters of the French Broad River which flows for 213 miles from Rosman,NC, through Brevard and Asheville, and into Tennessee. Whether you are an experienced paddler or looking to try something new, exploring Brevard by water is a truly unique and memorable experience. Follow the bends and turns of the free flowing French Broad River in a kayak or canoe and enjoy the perfect mountain views and abundant wildlife found along its banks. Known for its vast variety of birds, you are sure to see Great Blue Herons, Egrets and more. With 250 awe- inspiring waterfalls located here in Transylvania County, you are able to view a few of them along your float as well. And, if you are looking for something a bit more adventurous, there are areas along the river where you will find white-waters, from mild to the more intense. For flat water paddlers, beautiful Cascade Lake on the edge of DuPont State Forest, just minutes from Brevard, is a perfect destination. Set out on your own adventure or locate one of the many outdoor tours and guides available in the area who offer everything from single day explorations to week long excursions. 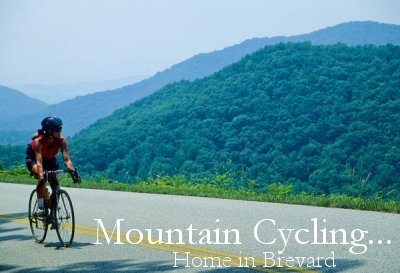 Brevard is a great setting to enjoy all the best outdoor activities.